What is the STEP Council of the Genesee Region? STEP is a not-for-profit organization that has its roots in a group of physicians who volunteered to train ambulance personnel in 1963. Dr. Harold Warnock, Assistant Health Director for Monroe County, Dr. Henry Crawford, an orthopedic surgeon, and Dr. David Kluge and Dr. John Morton, general surgeons, organized a Saturday First Aid teaching conference at the Rochester Fire Academy on Scottsville Road. The 75 attendees were very enthusiastic and the course was repeated the following Saturday for 75 more members of fire departments and a few of the newly organized independent ambulance corps. There followed each September a similar ambulance teaching day including one session in which an Army Field Hospital Unit was assembled at the Academy. Later the courses were transferred to Monroe Community College where vehicle evacuation was practiced in the parking lot. These courses led to an expanded teaching program under a new Trauma Committee of the Monroe County Medical Society. In 1967 STEP (Study of Trauma and Emergencies Project) was developed as a project of the Genesee Valley Medical Foundation. It held a conference at the Rochester Academy of Medicine entitled: “Rochester Forum on Emergency Health Services.” This was partially funded by the Emergency Health Services Division of the U.S. Public Health Service and the proceedings were published. The ambulance training course held on September 6, 7 and 8, 1967 took place at the Manger Hotel as part of the Empire State First Aid and Rescue Association annual meeting. This was the first course in New York State to receive prior approval from the Department of Health under new ambulance regulations. It was also the first course that provided CPR training to ambulance personnel under the new guidelines of the American Red Cross and other organizations published in the Journal of the American Medical Association. In 1970 the first triplicate ambulance record for patient information was developed by STEP under the direction of Dr. Martin Korn. These computerized forms were used in many regions of the country. Over time, NHTSA has worked on identifying specific data points to be collected and individual States have developed new systems for patient care reporting. A majority of the current reporting systems still have their roots in STEP’s original ambulance record. Even today, STEP is partnered with the Greater Rochester Regional Healthcare Information Organization and the Rochester Institute of Technology on integrating Prehospital Patient Care data into a centralized electronic record sharing information between Prehospital Providers, Hospitals, Primary Care Physicians, and other Healthcare Professionals to better serve patient needs. In 1972 STEP became incorporated as a not-for-profit organization. The acronym was changed to the Society for Total Emergency Programs as suggested by board member Dr. A. E. Hertzler Knox, Medical Director of the Hartford Insurance Company. For ten years (1967-1976) it ran international forums on EMS in Rochester, Chicago, St. Louis and Indianapolis. Affiliated councils developed, including the STEP Council of the Genesee Region. The local STEP Council, which became a not-for-profit organization in 1976, has continued the development and support of EMS even after the National STEP Council folded. In 1969 the STEP Council of the Genesee Region began a five-year effort that led to the development of Mobile Coronary Care Units (MCCU) in Monroe County, NY. These units, funded without grants, had the ability to bring Advanced Level Cardiac Care directly to a patient in the field, an innovative concept at the time. Later, when trauma care was added to these units capabilities, the name was updated to Mobile Critical Care Units. 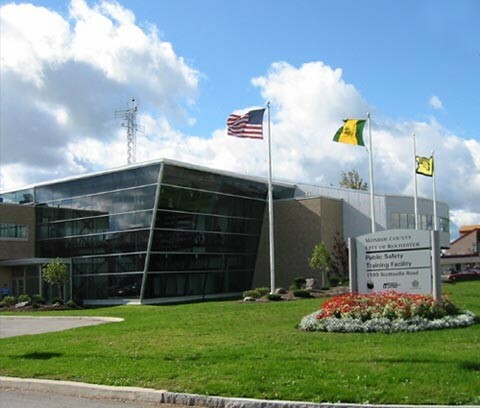 In 1978, after the New York State and Regional EMS Councils were formed, STEP turned over the further development and coordination of the MCCU system to the newly formed Monroe-Livingston Regional EMS Council. Today, these units are common in EMS and the individuals who staff them are Paramedics. The fourth ambitious STEP project was the development of a regional EMS Center for training and resources. In 1980 STEP enlisted the support of related EMS organizations in the area and raised $100,000 to support the development of the Center. The Center’s first location was in the Hollister Building on the former Genesee Hospital campus. Classrooms, an EMS library and all regional training equipment were housed there. Training programs were coordinated and administered by Empire 9, an agency funded through federal EMS grants. When Empire 9 folded several years later, STEP negotiated with Monroe County and Monroe Community College to transfer the Center’s activities to the Public Safety Training Center of the College. Today, EMS training is still coordinated by the College but is housed in the Monroe County Public Safety Training Facility, located at 1190 Scottsville Road. STEP assisted in the coordination of this new facility which also houses the David N. Kluge STEP Board Room where STEP meets. A fifth project, initiated in 1988, was the establishment of a paid EMS Medical Director to oversee the EMS system in Monroe County. Prior to this initiative, Medical Direction was provided through the generous donation of time by volunteer physicians. STEP recognized that the rate of system growth would soon overwhelm this volunteer system. Through persistence, graduate research projects at the University of Rochester, Syracuse University and Rochester Institute of Technology, and discussions at county budget hearings, STEP was successful. In 1991 the Monroe County Legislature created and budgeted the position of EMS Medical Director. The new county legislature administration in 1992 maintained this commitment to EMS. In July 1992 Dr. Dean Wolanyk was selected to become Monroe County’s first paid EMS Medical Director. Educational programs have always played an important part in STEP activities since its inception. These have included EMT courses for ambulance personnel and medical students, CPR courses for physicians and dentists and annual EMS management forums. In 1995, the STEP EMS Conferences began providing a high quality educational opportunity to EMS and other public safety organizations from all around the region. Workshops and plenary sessions have covered a wide range of topics from medical to trauma and from obstetrics/neonatal care to end-of-life issues. Speakers have included physicians, EMS providers and administrators, law enforcement and fire officers, and other experts on safety and working with the populations emergency service providers serve. The History committee continues to work with ambulance organizations in the region to organize and collect historically significant ambulance and EMS materials. These materials are cataloged and stored at the Rochester Academy of Medicine, 1441 East Ave . Some historical items are on display at the FASNY Firefighting Museum in Hudson, NY, and locally at the Public Safety Training Facility, 1190 Scottsville Road. These efforts over the past 50+ years have nurtured EMS improvements in a cooperative and very cost effective manner. STEP members and Board members are pleased with the results but continue to press ahead! The mission of STEP is to educate and promote innovations and opportunities for the improvement of emergency services.